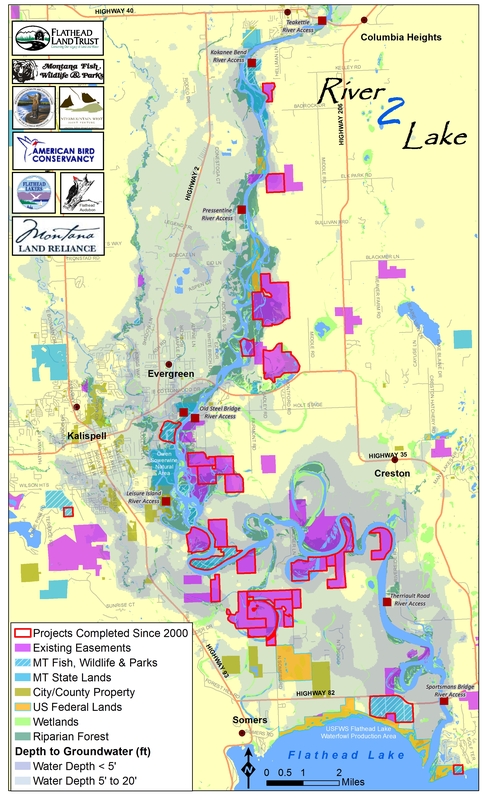 Since 2000, Flathead River to Lake Initiative organization and agency partners has been providing conservation and restoration expertise and financial options to private landowners along the Flathead River and at the North Shore of Flathead Lake to craft conservation projects that meet landowners’ individual needs. By working together, farm families, numerous organizations and agencies have achieved successful conservation projects throughout the Flathead River to Lake project area. To learn more about the River to Lake Initiative and partners, please visit the links to our partnering organizations or contact us for more information.